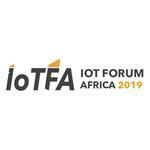 JOHANNESBURG, SOUTH AFRICA - Media OutReach - 12 February 2019 - Internet of Things Forum Africa returns to Johannesburg for the third year on 26 and 27 March 2019 at the Gallagher Convention Centre in Johannesburg, South Africa. Hosted by IT News Africa , IoT Forum Africa 2019 is shaping up to be bigger and better than ever and is set to feature an exciting list of visionaries, thought leaders and industry experts who will explore the benefits and challenges of IoT in key industries. The Internet of Things is becoming the backbone of every industry, allowing users to make intelligent decisions without feeling overwhelmed by technology. Its ability infuse operational efficiency is the next step of the IoT evolution as it improves business processes using AI and machine learning to analyse past behavior, whilst gleaning insights to change the future. #IOTFA19 , through insightful presentations, panel discussions, industry focused break-away sessions and interactive case-studies, will take an in-depth look at how organisations can harness true "business value" from IoT.